Webmistress Jen got me all on a K-pop kick these daze… not that I’m new to the genre, but I’ve mostly listened to J-pop with a concentration on the laaaaaaaadies (Koda Humi and Ayumi Hamasaki, to name a couple)… but Webmistress Jen has recently introduced me to a number of bands that I’ve soon become nuts over. This is my fave song rn. And this is my new laptop wallpaper rn. 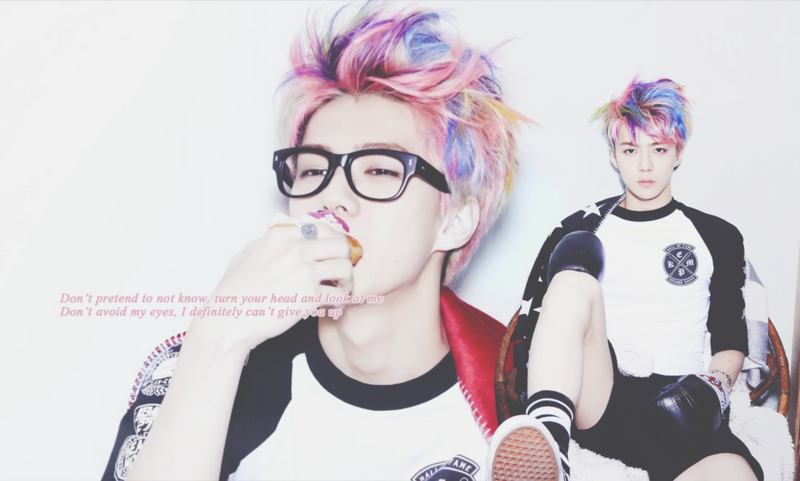 This is Sehun, which Webmistress Jen tells me is EXO’s youngest member. So cutes. It’s impotant to note that I *will* have unicorn hair one day. I swear it. aaaaaaad here is Baekhyun… oh my stars.